The following report discusses on the impact the adoption of IFRS has on the reporting quality of the Australian local government entities which were previously reporting as per the Australian Accounting standards. In this report we first discuss on why the countries are now shifting towards the adoption of IFRS and the extent to which they are getting impacted. Also, the way forward is also being discussed which helps us understand what major differences have been brought under this new regime of IFRS and how they will affect the overall reporting in the country. Regarding this, there have been many apprehensions amongst the affected parties many of whom are of the view that the rules are extensive with greater complexity which is greatly affecting the process of adoption as well as the feasibility of implementation. Even when there have been several comments and notes mentioned in the available reports, there is still, a general agreement on the need for guidance on implementation and over all wellbeing of the functioning as well as the reporting. IFRS was adopted as the common standards of accounting internationally to ensure that all countries follow the same standards which will keep the reporting uniform and at the same time make it easier, more convenient, and more meaningful to compare the reports of two companies of two different countries. 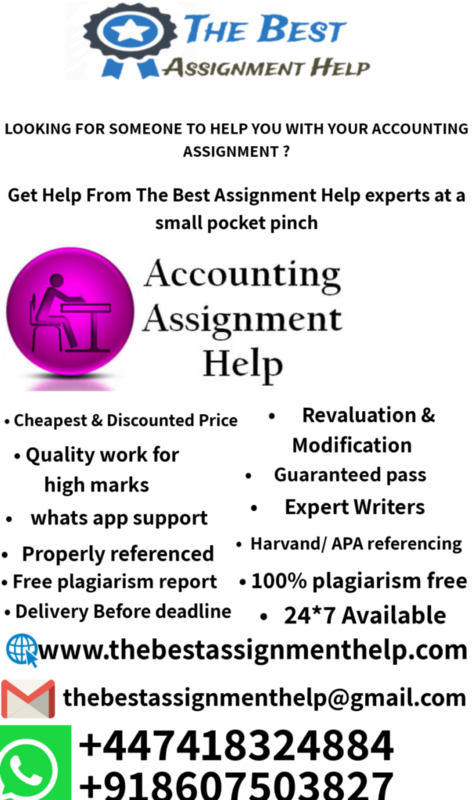 Earlier when the accounting standards were different, even the minutest of the variations in the policy of reporting used to make a big difference in what the results of the analysis would show (Hanover, 2008). It was also seen that many times to make the reporting fair and correct, the analysts used to convert one result into the other results format by converting by applying the sets of rules followed by the latter on the basis of what was being applied on the former. It was seen that this process was very cumbersome and the accuracy could also not be clearly judged. Having said this, there have been several positive views for the same and at the same time it has faced a lot of skepticism for the same. In this report we discus all these points and finally come at a conclusion that helps us form an opinion (Camfferman and Zeff, 2007). The observations over some time period have suggested that although not all countries have adopted these standards, the ones that have adopted are mainly because of either their clients, or neighboring countries or suppliers following these standards. So for them maintaining uniformity seemed crucial for a structured and reliable business reporting. The countries also take into account the costs of switching to these standards along with the future cost they might have to bear if they do not adapt on the correct time period. In the context of his report we can say that the local government bodies also had to incur the adoption costs for changing the accounting standards they were following until now. There are tail many countries who believe that IFRS may not fulfill the objective for which it has been devised and the cost that they might incur if they chose to adopt may be detrimental in terms of it being expensive and disrupting the normal regular course of action (Benston et al, 2006). The adoption of these standards in government bodies may prove to be more complicated than it might be for private enterprises, as the government bodies have objectives that are social in nature, they are driven by several infrastructural assets, and their ownership usually varies from one to the other by way of them being public or partnership and the corresponding stakes in the same. Also, in case of Australia the enterprises in the Public domain can be segregated in three tiers which are namely, the common wealth government, the state government and the local government (Hope et al, 2006). In the studies that were don previous to the current adoption studies in Australia showed that because of the changes caused due to following standards led the companies to record higher figure of liabilities, a lower figure for equity and a decrease in their surplus or profits in other words. Having seen such observations there was a natural resistance in the adoption. Further different studies age in yet another angle to this, they observed for smaller enterprises, an increase in the overall profits after tax affected the share price in the positive side whereas for the larger corporates, infarct IFRS made a negatively impacting role on profit and share value. Another important aspect to consider while looking at the impact of IFRS, would be the overall net economic value to the country for the adoption of IFRS. The value that a country like Australia would gain from such a change, could be in two folds. When a country choses to make it an attractive investment area , or choses means and ways to attract foreign investors to raise capital in increase their GDP, adopting IFRS could be used to lure them easily as the cost of familiarizing themselves to the local or domestic accounting standards, could prove to be time consuming and a highly inefficient way. So for the ease of the business people chose to adapt IFRS. Also as more and more countries adopt it, the more and more appealing it becomes. The local governance entities also rely on the inherent conditioned of the governance in the country before they decide on adopting the same. For government agencies several different factors like- corruption, auditor training, the involvement of media, the judicial and regulatory laws and so on (Bushman and Piotroski, 2006). IFRS adoption also brings into account the value it brings politically, they wish to tend to gain some materialistic advantage over giving up their local or domestic power setting that I closing their autonomous standards by giving into the standards formulated by an international board or authority. The ways they might chose to take advantage by either making use of lobbying or putting gin pressure via more powerful authorities. And this has been the case with the European Union who has been the largest influencer of the IASB, due to its geographical proximity as well as it being the biggest sponsor of the IASB (Hope and Kang, 2006). There are several drawbacks now than ever before for countries or entities that do not adopt IFRS. They will have to provide extra nots that need to explain why they chose not to adopt IFRS, just so that they can portray a transparent image, else can be judge as using the old standards for some kind of reporting advantage. This will also have some effect on their independent auditors report as they will have to mention the non-accordance to IFRS, and if the company is not able to convincingly explain why they chose not to adopt, the auditors might not report in their favor (Box-Steffensmeier, 2004). If they choose to adopt it late, then they will have to make extra efforts to make changes in recognition policies, corresponding measurements as well as the declaration of financial instruments complex in nature if any. They will also pose a risk to potential investors as they will have to make extra efforts to convert their reports to compare these and so on, and they might choose to invest elsewhere to avoid disadvantage because of uniformity. The noncompliance to IFRS, might affect their transactions in capital markets, it might become very costly for them because of heterogeneous details on both sides of the parties or they might be forbidden altogether depending on what they chose to follow, in the near future. Some of the issue raised over the last couple of months seemed more focused on the lack of awareness and the absence of adequate representation on the local as well as international boards. It can be seen that the standards seemed to have been devised with the large sized companies or entities as a model t formulate the policies. Many small sized firms which were the basis on which the auditors, analysts and one interpreters of the governments, the surveyors had learnt interpreting information will have to be taught from the scratch. This will incur those costs on training and on the top of it will be the major cost of converting the reporting’s for the previous few years into the IFRS format so as to be able to compare and thus make meaningful decisions and conclusions (Barth, 2007). Many of the entities state the cost of re-education as a hindrance and seek some aid from the IASB. An important challenge many countries face is the presence of many contradicting, conflicting or merely overlapping set of rules and standards mentioned for the IFRS, for certain set of countries, these might need to be incorporated in their laws or national policies as many times their local accounting practices go hand in hand with the rules they follow. And these are authoritative in nature which cannot be called as the case with the IFRS. The ones they have mentioned are mere statements, but the countries adopting them they might have to make key changes. Many experts choose to warn the countries against doing so as the national policies are enforceable by law and these national standards hold a great deal of importance and value in their domestic market. If they adapt these policies that are not even rules or anything, mere statements could undermine the integrity of the governmental bodies. People have also argued that the IFRS has not been properly arranged or made. We see many times that the sequence of events are not adequately recorded. On the one hand they choose to hold the auditors responsible or obligation for one thing, which in turn is followed by who the obligators are and then they followed by the concept of that particular obligation. The adoption of International Accounting Standards, that is the IFRS, International Financial Reporting Standards in place of the current Australian Accounting Standards has had a very significant impact on the accounting reports and thus the results of the financial year being published by the local government entities. In this report we have analyzed the key pointers that reflected a significant change in the financials as a result of the changes in the accounting standards. In this report we also enlist the local government bodies have benefitted and at which places they were at a loss. Some of the key observations of this report were regarding the surplus or the loss and equity, along with the slight variation in the values of the assets and liabilities. Overall, we can say that it did not bring about a very drastic effect, yet there have been some significant key changes.